1. Dry roast the oats until it turns slightly brown and then powder the oats in a mixer. 2. In a pan, add oil, mustard seeds, urad dal, channa dal and allow mustard to splutter and the dals to turns golden. 3. Add the chopped chillies, coriander and grated carrots. Add the turmeric powder and fry for a minute. 4. Add this seasoning to the powdered oats mixture and add the curd to it to make a batter like that of idli. 5. You can add as much curd to the mixture to achieve the consistency, but don't add water to the battar. 6. Grease the idli steamer plates with oil and pour the battar into each area of the steamer. Steam the idlis for 15 minutes. 7. 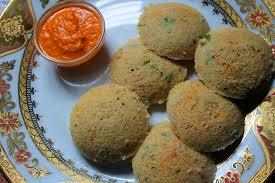 Once done remove the idlis and serve with onion chutney. Mix semolina, flour, sugar and cardamom. Add enough water to make thin batter. Keep covered for 2 hours. Open and beat again. Add more water if required. Add 1 tbsp oil and mix well. Fry dry fruits lightly. Heat griddle. Grease and pour 2 tbsp batter and spread. Pour oil and cook from both sides. Remove from pan or griddle, spread honey and sprinkle dry fruits. Serve hot. you from a disease or risk you to some disease.We are really what we eat. So the healthy eating habit is our ticket to a healthier mind and body. Good eating habits are but highly beneficial. 1. 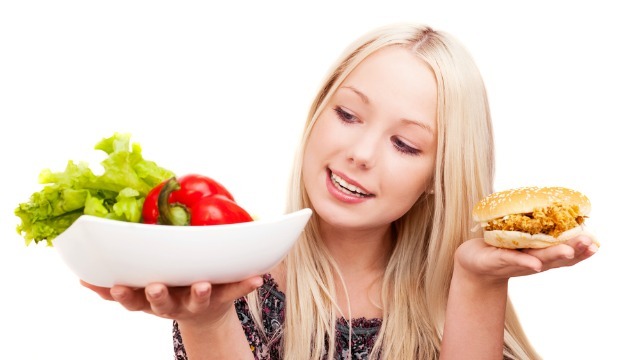 Eat Natural Food: Natural food is always better than processed food, or canned one. Even you get a natural food then you processed it, it will lose some of it benefit like some vitamins, enzymes, and anti-oxidants, etc. 2. Eat slowly. Dont wolf down your meals. Dont eat standing up. Set an attractive table. 3. Vary in eating healthy food: eat every day deferent kind of healthy food, don’t stick on one recipe and repeat it every day. Variation in healthy food will help your body gain different vitamins, enzymes, and nutrients in general. 4. Learn to recognize emotional or stress eating. Dont label food "good" or "bad". Allow yourself modest portions of the food you love. 5. Masticate properly: Don’t be hurry while you eating relax and eat quietly and masticate properly. If you rush your chewing you will lead you digest system to really critical problems. Chew at least 32 times. 6. Try as so you can not to cook your vegetables directly, instead of that you should steam it so that it could contain all of the nutrients. 7. Don’t Eat in between the meals: eating between meals is a bad habit. Unhealthy if you are not in a diet plan. Plan you diet based upon small 4-5 meals. 8. More Fibre-Rich, If you then you are in healthy body path, if not then you should know that now. Fibre helps your body to digest and elimination. If you digest system is healthy then your entire body should healthy too. Diseases always start from your stomach. If your stomach is healthy then you are 90% healthy. and fast for 14-16 hours until breakfast the next morning. Studies suggest that eating only when you’re most active and giving your digestive system a long break each day may help to regulate weight. FA prune is a dried plum of any cultivar , mostly Prunus domestica or European Plum. The use of the term for fresh fruit is obsolete except when applied to varieties grown for drying. Most dried prunes are freestone cultivars whereas most other plums grown for fresh consumption are clingstone. Prunes are sweet and juicy which offers a no. of benifits. These can be eaten as a snack at any time of day or incorporated into your meals. They are easy to store and ready to eat anywhere, anytime. It has soluble as well as insoluble dietary fiber. Insoluble fiber helps speed food through digestive tract and soluble fiber enhance satiety, lowers cholesterol and regulates blood sugar level. which is involved in bone metabolism. Prunes prevent hormone related deterioration of the bones, preserving bone mass. Prunes have the highest antioxidant power of all fruits. Antioxidants are special compounds that help protect cells from damage caused by free radicals. These are high in fiber with less calories. The high fibre in prunes leaves you feeling fuller for longer so you would not feel the need to snack on high calorie treats. They are low in fat too. Hence these are perfect snacks for weight loss. Plaque build up in the arteries causes atherosclerosis, a narrowing of the arteries, which can result in a shortage of oxygen and blood to the tissues of the body. If left untreated, this can lead to heart failure, stroke, and heartattack. 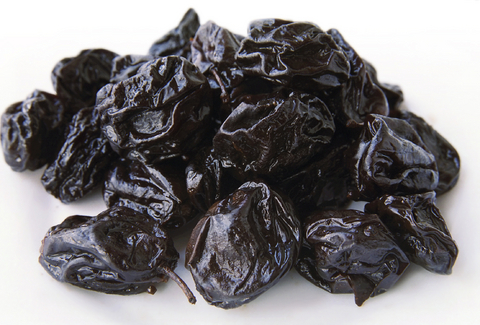 Fortunately, research suggests that dried prunes may help slow the development of atherosclerosis. prune juice can significantly reduce blood pressure. Anemia occurs when the body doesn’t have sufficient healthy red blood cells, which iron helps to make. Shortness of breath, irritability, and fatigue are all signs of mild anemia. Prune juice is a great source of iron and can help prevent and treat iron deficiency. Prunes are a good source of potassium , an electrolyte that assists in a variety of vital bodily functions. This mineral helps with digestion, heart rhythm, nerve impulses, and muscle contractions, as well as blood pressure. Since the body doesn’t naturally produce potassium, consuming prunes or prune juice can help you avoid deficiencies. cells meaning it can help reverse the signs of aging. An overactive bladder can be embarrassing to deal with, but adding fiber to your diet can help. Oftentimes, constipation from lack of fiber can have a negative effect on bladder function and increase the frequency of urination. Add salt to boiling water followed by Soya Chunks, allow it to boil and then remove it from flame. After 15- 20 mins drain and squeeze water from it. Rinse in cold water 2-3 times and squeeze dry for use. 1 cup of raw Soya Chunks gives 2 cups of treated Soya Chunks. 1. Cook treated Soya Chunks, onions, capsicums, chilly powder, white pepper and salt in a pan with oil. 2. 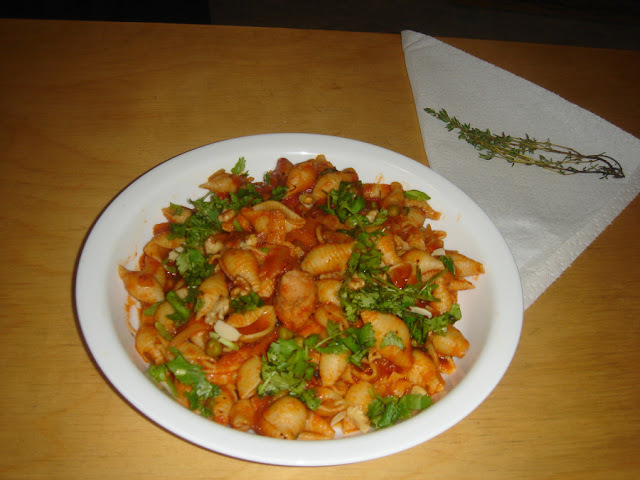 Mix pasta & ketchup to it and garnish with geated cheese. 1. Wash and soak gram and rice for 12 hours. 3. Add salt and keep aside to ferment. You may add soda 1/2 tsp for earlier result. 4. Mix batter and make into a pouring consistency. 5. Heat griddle and grease lightly with oil. Pour 2 tbsp of batter and spread to form round or oval. 6. Sprinkle chopped veg, chilli powder and cook for 2 minutes. 7. Turn over, cook and serve. Broccoli is an edible green plant in the cabbage family whose large flowerhead is eaten as a vegetable.The word broccoli comes from the Italian plural of broccolo , which means "the flowering crest of a cabbage ", and is the diminutive form of brocco , meaning "small nail" or "sprout". Broccoli is often boiled or steamed but may be eaten raw. Broccoli is classified in the Italica cultivar group of the species Brassica oleracea. Broccoli has large flower heads, usually green in color, arranged in a tree-like structure branching out from a thick, edible stalk . The mass of flower heads is surrounded by leaves. Broccoli resembles cauliflower , which is a different cultivar group of the same species. Broccoli has an impressive nutritional profile. It is "high in fiber, very high in vitamin C and has potassium, B6 and vitamin A," raved Victoria Jarzabkowski, a nutritionist with the Fitness Institute of Texas at the University of Texas at Austin. "For a nonstarchy vegetable, it has a good amount of protein." cholesterol out of your body. Research has shown the ability of kaempferol to lessen the impact of allergy-related substances on our body. Broccoli even has significant amounts of omega 3 fatty acids, which are well know as an anti-inflammatory. caused by inflammation due to chronic blood sugar problems. cup of rice or corn with half the calories. Like many vegetables, broccoli helps keep your whole body less acidic, which has a host of health benefits. Broccoli contains vitamin A, vitamin C and calcium which promote hair growth. Vitamins A and C stimulate the production of sebum, an oil based secretion that acts as a natural moisturizer and conditioner for scalp and hair whereas calcium strengthens the hair follicles. slim never skip your breakfast. These are some of the best foods you should include in your diet for providing nourishment to body. Drink one of milk once in two days. Milk is the perfect food for breakfast having a combination of vitamins, minerals, lactose and carbohydrates. Drinking milk will help to keep body strong and lean. Drink one of juice in alternate days with milk. I mean one day milk and the other day juice. Never buy a fruit juices from outside as they contain artificial sugars. Instead buy some fruits and make juice at home. Orange, coconut water, or some cocktail juices are some fluids you can have for getting leaner and slimmer body. diet. Eggs, chicken and meat are good source of proteins. Vegetarians can include sprouts as a source of protein in diet. normal tea. Green tea helps to maintain blood pressure and is also helpful for diabetic people. 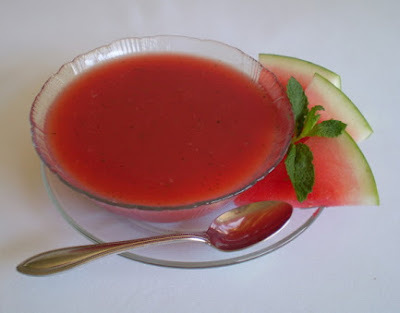 It helps to make skin glowing and is an excellent blood purifier. It is the second most important meal of the day. 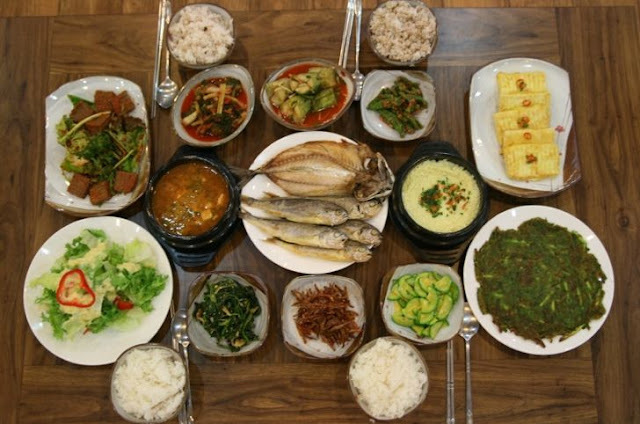 This meal should comprise of adequate amount of energy to stay lean and fit. This meal should include carbohydrates, protein and fibers for smoothing the process of excretion of wastes from the body. anti-oxidants and less carbohydrates that helps in keeping body lean and slim. Many experts recommend people to eat chapatti over rice for having lean body. provides approximately calories: 72, fat: 0g, carbohydrates: 16g, protein: 3g. This means it provides energy to body with less calories. slim body. According to a research fish lowers the process of ageing that keeps body young. Fish oils contain omega-3-fatty acids that prevent heart diseases. 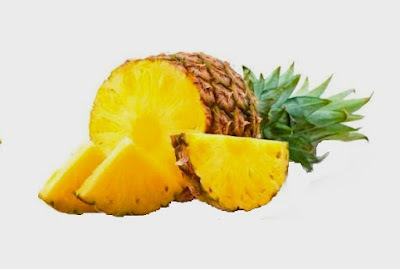 It also contains vitamins and minerals that maintaining the fitness of body. 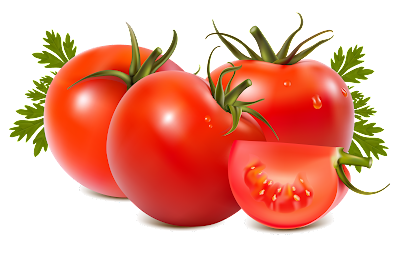 These are also good source of proteins but should be eaten just twice a week. These foods if taken in more quantity can increase your body weight. healthy. Eat less to stay slim and avoid fat build up in body. Eat rice or wheat chappati. Eat chicken or fish or become vegetarian at dinner. Eat an apple after finishing food. Start your supper with a simple salad: it’s low in calories and research out of Penn State shows that eating a first-course salad can cut your overall calorie intake at a meal by up to 12 percent. Plus, a vegetable-packed salad delivers fiber, a must-have when you’re dieting. Fiber helps you stay satisfied longer—and, according to one study, upping your fiber intake may help prevent extra pounds from creeping on and even promote weight loss. Chicken, fish, tofu or beans—it doesn’t matter which you pick—all are protein-rich. Gram for gram, protein will keep you feeling fuller longer compared to carbohydrates and fat (read: help keep those midnight snack attacks at bay). And don’t forget about low-fat dairy: recent research, published in the Journal of Nutrition, found that the protein in dairy (called whey protein) may help ward off weight gain and help build lean body mass. 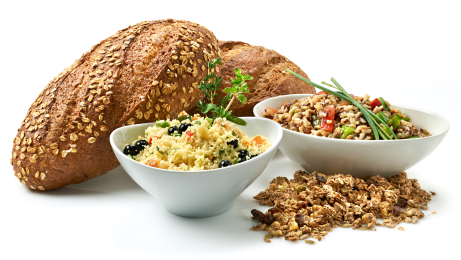 You probably already know that for overall health you should be making at least half of your grains whole grains. But for dieters, choosing whole grains—such as brown rice, quinoa and whole-wheat bread—100 percent of the time may give you an extra edge, says a recent study. When researchers put volunteers on a three-month weight-loss program and instructed one group to eat only whole grains for their grain servings and the other group to choose only refined grains (and avoid whole grains entirely), the whole-grain eaters melted significantly more abdominal fat. While the fiber in whole grains may deserve some of the credit, researchers note that whole grains are rich in magnesium, a mineral instrumental in regulating fat metabolism. Though this isn’t exactly an ingredient, what dieter doesn’t want to hear that it may be easier to stick to your diet if it includes a little sweet treat? Well, it’s true. One reason may be that removing access to sweet foods stimulates the release of a molecule in your brain called corticotropin-releasing factor , produced when you’re afraid, anxious or stressed. And increased stress levels may lower your motivation to eat more nutritious foods, making it more likely that you’ll binge on junk food. 1. Try to eat fat free foods for making your body lean. 2. Avoid eating heavily or full stomach. Instead have small meals to speed up the body metabolism of burning fats. 3. Remember to include at least 8-10 glasses of water in your diet. Water will help to wash at toxins and wastes from body and keep it hydrated. 4. Also 30 minutes exercise is required for getting slim and fit body. 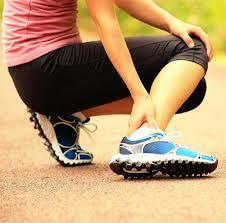 Cycling, running, swimming, skipping and playing some outdoor sports are some good exercises for making body slim. cancers and other health problems. Adding more whole grains to your family's meals is a smart move. Not only do they provide the vitamins, nutrients and minerals needed to keep your family healthy and strong, but whole grains also contain dietary fiber, which may help reduce your risk of heart disease, cancer, diabetes and other health complications. 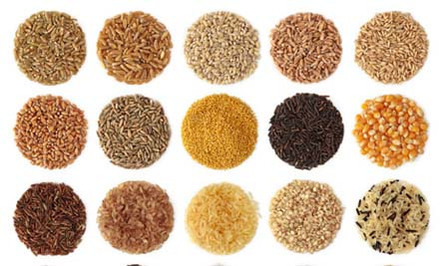 There are many whole grain cereals on the market and they are all good sources of dietary fiber. Whole grain oats are a great choice because they have the proven ability to lower bad cholesterol (LDL) while raising good cholesterol (HDL). such as wheat, spelt, barley and oats. Look for food labels that confirm that the product is made with 100% whole grain. Some brands of bread that advertise "whole wheat" on the label are actually a mixture of whole grains and refined white flour. condiments or Sloppy Joe mixtures better than plain buns. Use whole grain pasta the next time you make a pasta salad or lasagna. The whole grain varieties have great texture and hold up better than the plain types that tend to get soggy easier. fiber to your diet, you'll also be helping to stabilize your blood sugar levels. Refined grains break down very quickly into sugar which can cause spikes in blood glucose levels. The subsequent fall of blood sugar often results in food cravings. Use corn tortillas or whole grain wheat tortillas instead of plain flour tortillas the next time you're serving Mexican food. The use of whole grains or corn makes the dish much healthier. The next time you bake muffins or cookies use oatmeal or whole wheat flour instead of refined white flour. If you don't do your own baking don't despair, nowadays almost every type of snack food comes in a whole grain version. Consider shopping at specialty shops or health food stores to stock up on your healthy snacks so you won't be tempted to purchase the unhealthy varieties. Popcorn has gotten a bad rap but it can be a healthy whole grain snack when it's air popped, and butter and salt are kept to a bare minimum. Switching from plain crackers and chips to whole grain varieties might seem like a little thing, but it's the little things that make the difference when you're aiming for a nutritionally balanced diet. This definition means that 100% of the original kernel – all of the bran, germ, and endosperm – must be present to qualify as a whole grain. Mustard greens are the leaves of the mustard plant. Mustard greens are available in a number of types that every have got distinctive features and also including these types of outstanding leaves in your food preparations will definitely boost the appeal of any kind of meal. Mustard greens consist of nutrition. They offer an abundant mixture of vitamins, minerals, dietary fiber as well as protein. Let’s take a look at the advantages of ingesting mustard greens. Heat Ghee in pan and fry onion to light brown. Add then ginger, garlic, and green chillies. Now add red chilli powder, musturd leaves and wait 2 or three minutes. Add salt and cook for ten to twelve minutes. Now add some water and cook on moderate heat till green leaves are soft. Finally add the butter and serve hot with makki di roti. 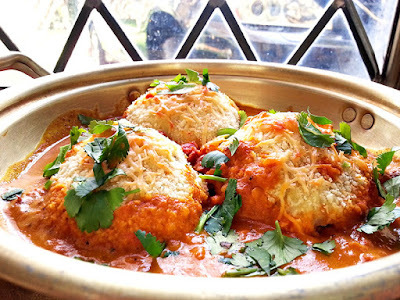 Stuffed Potato is very dashing vegetable.If you prefer potatoes stuffed potatoes come very fond.It can make the arrival of guests or on special occasions Come Today we stuffed potato. Do not use big potatoes as they don't look good in the subzi, and also take longer to cook. Opt for small or medium sized potatoes. Keep them ready in advance, so that when a guest comes, you could just make the gravy, pour over the potatoes and serve. If need be, you could warm the subzi in an oven or microwave. With hollow potato peeler, so that seasoning can be collected in potato.Put potatoes in a bowl of water.Put a tablespoon of oil in a frying pan and heat.Put seeds in hot oil. After roasting cumin, coriander powder, turmeric powder, pepper and chopped ginger Dalden a cut.Play spice spoon.Spicy potato pulp, salt and garam masala fry spoon run by running.3-4 minutes it will be ready to roast potato pulp.Remove from the gas, and the pulp powder dry mango, cashew and Kismis mix.Is designed to fill in potato seasoning. Place the potatoes in a plate removed from the water and not leave the water at all.Fill these potato seasoning, spices from all over the potatoes stay. Put 2-3 tbsp oil in the cooker and heat.Put a quarter teaspoon cumin seeds in hot oil.After roasting cumin chopped peppers, chopped ginger, ¼ teaspoon salt and a pinch of turmeric and put less.1 minutes to roast the spices.Put 2-3 tbsp water in the spices, and potatoes are now filled by one run in slow cooker insert and spices are roasted potatoes mix.Turn off the cooker.As soon as the whistle went, turn off the gas. 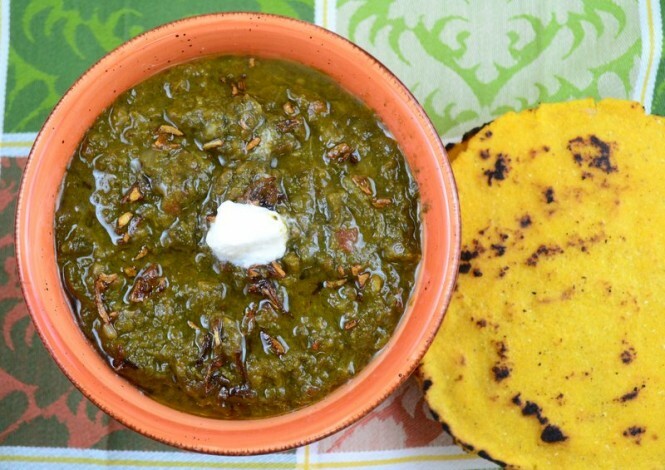 Remove to a bowl of potato stuffed vegetable cooker on open and green coriander Shall put up.Piping hot potato stuffed vegetables, naan, chapati or Serve with paranthas. 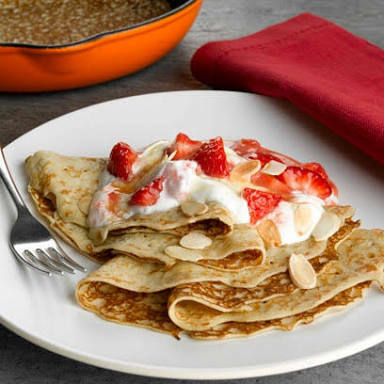 This is a easy to make in fifteen minutes. and chili powder together, and combined it with the corn and cilantro mixture. Mexican dinner or your next cookout. 1. Shuck and cook corn, cut kernels from corn. Boiling will take you 3-4 minutes. 2. Mix corn and chopped cilantro together, set aside. 3. Combine mayonnaise, chili powder and lime juice. Mix well. 4. Add mayonnaise mixture to corn mixture. You should run to a shaded area so that you may be safe from getting totally drenched but the risk of falling sick is still high. If your immune system is weak, you may instantly catch a cold after being exposed to the cool breeze that often accompanies rain showers. 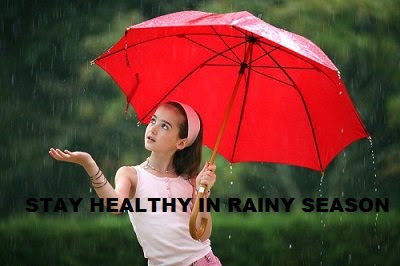 You should follow certain countermeasures to keep yourself healthy during the rainy season. In this season people tend to drink coffee/tea or a bowl of soup. Many people love to go out and eat street food. They often tend to ignore the very fact that with the onset of monsoon there is definitely a rise in various borne diseases. There can be diseases like malaria or dengue which are caused due to mosquito. Apart from mosquito bites there is a risk of getting viral infections. One can also get high viral fiver during this season. Take your rain gear or umbrella while moving out of the house so that you may protect yourself from the sudden rain fall and avoid getting drenched. People love to eat fried foods during the monsoons. But during the monsoons, the oil is not changed. Instead rain water can also be mixed in the oil that is used for frying. Moreover drink only mineral water and avoid juices and other road side beverages. These beverages tend to get contaminated once they get mixed with rain water which contains many impure salts. Drink lots of water as water helps in flushing out the toxins from our body. But make sure that the water is pure and clean to drink. Carry a water bottle when going out. One should drink herbal tea that has anti-bacterial properties. This may help to improve your immunity and help you develop strong immunity against germs and bacteria. Avoid eating raw foods during monsoon. Wash the vegetables and fruits properly before consuming. Avoid eating outside especially from the road side stalls. Exercise to sweat out the symptoms of cold or flu before it develops into a full fledged fever as exercise makes our immunity stronger by stimulating the blood flow. Avoid heavy exercise. Do light exercise and yoga to stay healthy in rainy season. Avoid smoking and alcohol as much as you can as it weakens our immunity and also the respiratory system making us more prone to catch common cold and flu. Eat a healthy diet containing lot of fresh fruits and seasonal vegetables so that your body has a good store of all protective nutrients like vitamin A, C, E, and B-complex and other antioxidants and minerals. Pickles are usually not featured as the star in many dishes, including ball park hot dogs and deli sandwiches. However, this does not mean they don’t deserve the spotlight. Pickles are very nutritious and are considered vegetables with low calories. When served in the right size, pickles can be a great and delicious part of your diet. Pickles are made from fruit and vegetables that are soaked in vinegar and oil. They also contain minerals, such as iron, potassium, sodium, and phosphorous among others. It is necessary to check your system for choosing the right type. Side effort may happen like blood pressure and stomack cancer as salt is also added to them.